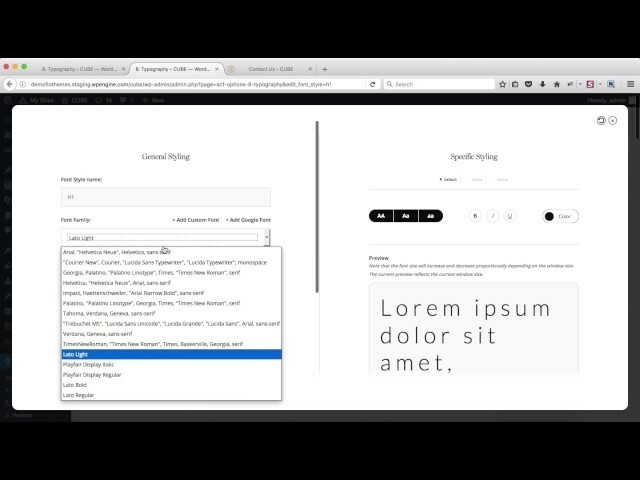 The following video explains how to use the font settings area in the Flothemes area in WordPress. Here you’ll be able to customize all the fonts throughout your site, including options for quick font setup and the more details options in the generic tab. You can see all the options in the video in Flothemes > 8. Typography. A small update has been added for Tablet Devices. Now in the Flotheme – Generic Typography section you can adjust the Tablet Font size on Mobiles. Adjustments effect fonts up to 29px only. Any font larger than 29px will not scale. Below is a screenshot of where thee following settings are located.